To the majority of buyers fuel economy is every bit as important as any other measure of performance. Unlike, say, the 1970s, we live in an era where economical driving and performance need not be mutually exclusive. 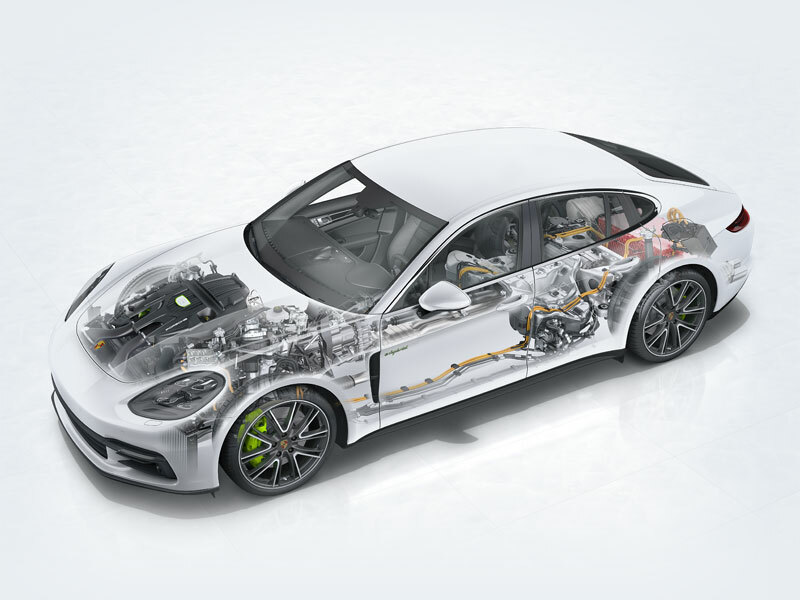 The Porsche Panamera Turbo S E-Hybrid is the most powerful Panamera to date. Through the wonders of modern technology this 680hp super-sedan offers a 55MPGe rating, which is superior to all of Toyota's ever-popular hybrid models save the Prius Prime and the new Mirai. How then does the Panamera stack up to a conventional economy car? To find out we bought a 2016 Ford Fiesta. Yes, really. Here it is at the dealer a day or so before we picked it up. By "we" I don't mean "Flatsixes" bought a Ford Fiesta, I mean my girlfriend bought a Ford Fiesta. Unlike your intrepid author, she drives to work. I walk to work. Usually I don't even put on shoes to do so because my office is inside my house, and if I need a change of scenery I take a bike ride to the coffee shop or library. With 120 horsepower on tap the Fiesta makes less power than just the electric motors in the Panamera Turbo S E-Hybrid, though at about 2,600lbs it weighs less than half as much as the Porsche. We're certainly not the first to compare a Porsche to an economy car. Citroen saw fit to compare the 2CV to a 911 Targa, and in some metrics Porsches are bound to lose to economy cars. The 2CV certainly offered more cargo space than a 911, and it offered the same number of wheels as a Ferrari, Rolls Royce or Porsche, which is pretty good! The Fiesta is a much more sophisticated car than the 2CV, so perhaps Ford has closed the gap with its premium competitors. Yes, both cars have some! Actually, the Porsche has quite a lot, and the Ford has just a bit. While the Porsche's infotainment system allows access to numerous powertrain features and settings in addition to navigation, radio, smartphone integration and more, the Ford's is a bit simpler. 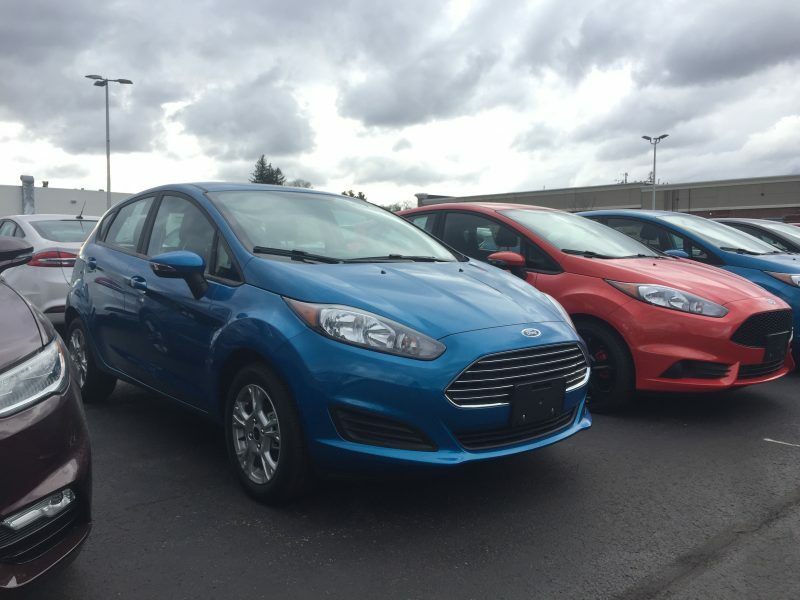 The 2016 Fiesta has an older version of Ford's Sync system as standard, which has a monochromatic display and surprisingly effective voice controls. Navigation is possible using Ford's system, though it is almost wholly dependent on your smartphone. Um, no way around it, the Porsche wins here. As both cars have seats, dashboards, doors and windows, they aren't quite as different as the Panamera and a Jeep CJ, but they're not exactly alike. The Fiesta does have nifty party lights which can illuminate the footwells in a wide array of colors. Your move, Porsche. Now here is where things get weird- Under the right conditions the Panamera Turbo S E-Hybrid is a better commuter than the Fiesta. The Panamera is capable of 50kms range under fully electric power, which is coincidentally the average round-trip for most commuters in the US. It is entirely possible then, for a person traveling back and forth to work to engage only the Panamera's 136 horsepower electric motor. The Fiesta gets by on a 1.6l four cylinder engine good for 120 horsepower. Under normal conditions the Fiesta will take around one gallon of fuel for the average commute, while the 680 horsepower Panamera can theoretically use none. At current rates(around $0.12/kWh even at peak times) the Panamera will cost $1.70 per charge if used as a plug-in hybrid. This works out to about $8.50 for a week's commuting. The Panamera may not be the perfect city car. The standard Panamera is 197.4" long, and the long wheelbase executive model comes in at 204.3". The Executive then is about the same length as a current Chevy Tahoe. A Fiesta hatch is forty inches shorter, at 159" overall. While the Panamera has presence in spades, the Fiesta is much more parallel parking friendly. The Fiesta costs about $17k with a handful of options, plus incentives and rebates taken into account. For the base price of a standard wheelbase Panamera Turbo S E-Hybrid you could buy ten Fiestas. Add in a few options, and you could probably also afford enough duct tape, zip ties and cardboard to turn the ten Fiestas into a hyper-miling party bus with space for you and 39 of your closest friends. On its own merits the Fiesta is actually a pretty good little car, and it's arguably the best driving subcompact in the US today. But I have to go with Ferris Bueller on this- If you have the means for a Panamera, it is so choice, and I highly recommend picking one up. The 901 Collection: Watches made from salvaged aircooled 911s. Porsche has made a move. Ambient lighting in the footwells (7 colours) is available for the Panamera as an option. Options!? The Ford has it as standard! It’s like a party for your feet. “You vant veels?” Etc…. Need I say more? Still, we love ’em, don’t we?